How to Treat Irritable Bowel Syndrome at Home? The best way to treat irritable bowel syndrome at home is by changing your diet. The main change would be to start eating things that are rich in fiber. If you don't know what foods are rich in fiber, you can always resort to a fiber supplement. These are products that are sold over the counter. If you do use a fiber supplement, you want to make sure that you introduce it to your body slowly and that you drink plenty of water every day. Drinking the water will reduce the gas, bloating, and constipation that most fiber supplements can cause. Also, it might be wise to find out what triggers the irritable bowel syndrome. In some cases, it can be triggered by stress or anxiety. If stress is a trigger for you, I would suggest that you try to reduce your stress levels as much as possible. Approximately 15% of the U.S. population has IBS at some point in their lives. It normally starts in adolescents or young adults. The number of women suffering from the condition is twice as many as men. Many people who have IBS are under stress. There has been no known IBS cases which caused cancer or damaged the gut, however the condition is very unpleasant. The individual suffering from IBS may get hemorrhoids or depression when the condition does not get better quickly. Scientists agree that IBS happens due to a neurological issue. The brain sends messages to the intestines, and vice versa. The more stressful an individual is, the less powerful is the brain's ability to send messages to the intestines. With this problem, the intestines may move food too slowly or too quickly. The individual will suffer from painful cramps and diarrhea or bloating and constipation because of it. Those with insomnia, anxiety, and stress might get IBS. Individuals most probably opt for OTC meds that fix diarrhea or constipation but only temporarily. The relief you may feel isn't long term. It does not solve the source of the problem. Anxiety pills may be provided by the physician due to the connection of IBS to stress and anxiety attacks. There are individuals who become drug dependent on these drugs even after the IBS is gone. Also, these drugs consist of harsh chemicals which may have unsafe side effects if taken for long periods. If you use Bavolex as recommended and follow the advice in our eBook, you will notice a significant improvement in a few days. A small percentage of our customers do not respond to our product, for this case we offer 60 days full money back guarantee. Our promise is simple: If you are not absolutely astonished by the improvement, return the empty bottle for a full refund! Product safety is extremely important for us. 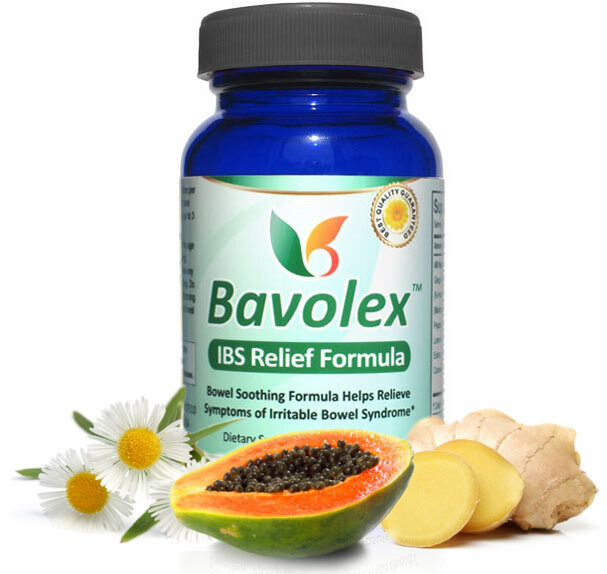 Bavolex™ contains only natural plant and herb extracts that are considered safe. 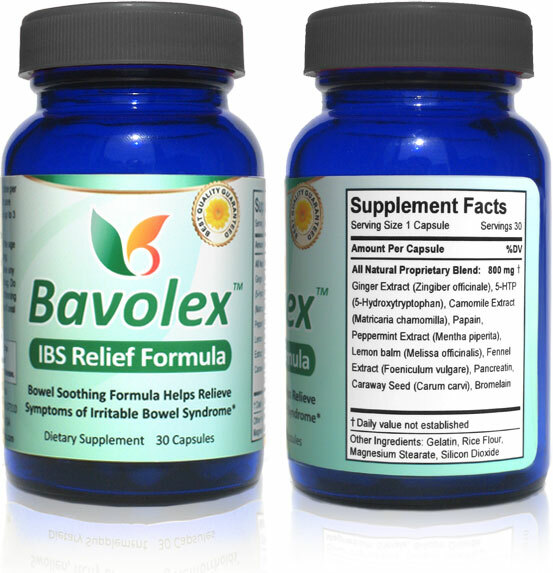 Our customers have been using Bavolex for many years, and so far no adverse events (side effects) have been reported. As with other products you should not use Bavolex products while pregnant or nursing because the effects on fetus have not been tested. You should not take Bavolex if you are taking antidepressants or blood thinning medication. 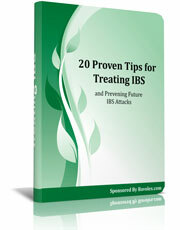 In this eBook, you'll learn 20 useful tips to stop Irritable Bowel Syndrome attacks for good. These tips cover stress reduction, diet, and ways to prevent an IBS attack. This valuable eBook comes as a bonus when you order Bavolex today. A priceless information for anyone who wants to put an end to this painful inconvenience right now.